This paper discusses the confluence of documentary, recreation and modern technologies in filmmaking, such as computer-generated imagery, in order to seek authenticity for the production of The Art Lovers (Debra Beattie, in production 2016/17) a docudrama concerning the life of sculptor Daphne Mayo. A conceptual framework is explored, drawing on historical precedent and most recent industry practice in order to discover a methodological approach to the modern historical documentary. Authenticity, in documenting historical narratives for cinema and television, and how to achieve it, has always been a contentious struggle. This struggle has sought to conflate the various documentary modes with the modes of fiction narrative and the emergence of terms like biopic and creative non-fiction. The critic is faced with the ongoing conundrum of authenticity when attempting to compare the defining images of the documentary with those of the docudrama (a term favoured in the UK for a fictionalised drama based on real events). Docudrama is a term made popular by Derek Paget in his seminal work No Other Way to Tell It (Paget 1998) which unpacks the codes and conventions of the form. Dramadoc is the preferred term in the US for a film that combines fact and fiction. The docudrama/dramadoc and its concomitant images are steeped in the conventions of cinéma vérité; and even within the documentary re-enactment, there is a mindfulness of the need to provide a real, true, and believable sequence of images. All of this is in stark contrast with the gloss of Hollywood; the big budgets and special effects often used to create modern versions of Tom Gunning’s Cinema of Attractions (Gunning 1986). In Shilo McClean’s doctoral thesis, The Impact of Digital Visual Effects on Storycraft in Filmmaking (McClean 2004) she references Bordwell and Thompson and their text on narrative and cinematic art (David Bordwell 2003) when discussing how the new and emerging technological choices affect the audience’s responses to a narrative. There were three key reasons Bordwell and Thompson argue that emerging technologies are taken up in cinema. In the first instance they lead to greater production efficiency (economy). The cost-benefit to the production of the bio-pic The Art Lovers (Debra Beattie, in production 2016/17) was the first consideration in the adoption of computer-generated-imagery. It was the first impetus for the use of virtual cinematography in this creative collaboration. This was then followed by a discussion between the experienced director and the cinematographer on the kinds of mise-en-scène that would work best in that production process. The second reason Bordwell and Thompson give for technological uptake was product differentiation (novelty) in that the pitch to potential investors is the cutting-edge nature of the work. Docudrama and dramadoc writers have not previously had the opportunity to write scenes of the early twentieth century with such approximation of the authentic as is offered by the current cinematographic techniques. The final reason for using these new technologies is in order to adhere to standards of quality that are the current aesthetic norms. On reviewing the history of virtual imagery in cinema, we are seeking to use new knowledges in the scriptwriting and story craft for an historical bio-pic. The documentary narrative concerns the life and work of Brisbane sculptor Daphne Mayo and covers a period of almost a century during which women artists make great inroads into the marketplace. The production of this documentary is currently in the early stage of a university-funded “proof of concept” to be included in a digital prospectus. This prospectus will be used to garner funding development support for the production of a feature. The documentary writer and virtual cinematographer are collaborating to realise this “proof of concept” embracing the new “digital playing fields” (McClean 2010). This research paper is a snapshot of a work in progress. At the time of publication, the authors will have completed the “proof of concept”. The second stage of writing the results of that creative research will inform the next outcomes of publications, both as an industry-ready feature film, or telemovie screenplay, and as pedagogically useful research into industry production practices for teaching into higher education facilities specialising in filmmaking and seeking to use the latest technologies. Filmmaking, boiled down to a very basic structure and process, has not seen much change between its invention in the 1890s and its iterations into the early twenty-first century. The technology has grown in quality, as have the skills of the technicians, but ever since Georges Méliès produced A Trip to the Moon in 1902 the basic process of pre-production, production and post-production has been an imbedded structure of the filmmaking operation. In 1994 however, the prospect of what computer-generated imagery (CGI) could do surfaced with prominent Hollywood director Steven Spielberg’s use of it in Jurassic Park (Steven Spielberg, 1994). This was the first time computer-generated imagery had been used to create ‘real living beings’ for a major Hollywood production. …through narrative, members of the audiences were given an opportunity to have the experience of seeing dinosaurs themselves for the first time. This point is made within the narrative by Hammond, the creator of the theme park, when he says, “I want to show them something that wasn’t an illusion.” In some way, the use of CG to portray these creatures is a step beyond the traditions of clay dinosaurs and toward a level of representation that is closer to science; an attempt to present a visual depiction that is a demonstration of scientific knowledge more than cinematic fancy (McClean 2004, 57). …acquire a very powerful perceptual realism, despite the obvious ontological problems in calling them realistic. These are falsified correspondences, yet because the perceptual information they contain is valid, the dinosaurs acquire a remarkable degree of photographic realism (Prince 1996, 27-38). This was in the decade of a digital revolution in cinema and therefore a cause for much debate and readjustment. However, despite appearances suggesting we now live in an age of computer-generated imagery (or virtual imagery) the virtual, the un-real or the fake have been made to look real as a component of cinema since its very beginning. The very nature of the “motion picture effect” is a fake presentation, in itself, of believable motion. Only seven years after the Lumière brothers presented their first projection (a single shot of workers leaving their factory) George Méliès produced A Trip to The Moon (1902). This film was one of the earliest examples of narrative cinema and also one of the first films to use special-effects. The effects were rudimentary and mostly consisted of freeze-frames, double exposures and a slightly more complicated luminance key composite. In order to make floating heads Méliès would shoot the person with a black cloth over them leaving only the head to be exposed on the film-stock, which in that era was relatively insensitive to light compared with today’s film-stocks. This early effect is really not very different from what we do today in filmmaking with green or blue-screens (IMAGO: The Federation of European Cinematographers 2003). This process of creating un-real imagery was not limited to science fiction and fantasy filmmakers like Méliès. Pioneer drama and documentary cinematographer and director Norman Dawn was to become cinema’s first matte painter with his work on early travelogues such as Missions of California (Lee 1907) (Barron and Cotta Vaz 2004). This technique involved placing a piece of painted glass between the scene to be captured and the camera. On the glass Dawn would paint either to add to the scene or to take away (by obscuring an unwanted component). In Missions of California (Lee 1907) this early innovator used the technique to ‘restore” dilapidated houses to their former glory. He would also use this very same approach when making one of Australia’s early feature films For the Term of His Natural Life (Dawn 1927) which was shot in Tasmania. Dawn restored the famous Port Arthur prison to its former glory by painting the roof back on. Fig 2: From The Motion Picture Cameraman (1927) an illustration of the glass plate shot (Lutz 1927). History shows us the virtual or un-real cinematic image has always caused contention. Dawn himself notes financial concerns which fuelled a veil of secrecy around this aspect of a film’s cinematography. The breakthrough of original-negative matte painting was never publicised. “…even when I was at Universal, they (studio heads) didn’t believe in telling anybody about effects,” Dawn said. “…They considered anything that was a drawing or a glass shot a fake. So they didn’t want to let the exhibitors know that this was a cheap picture full of fakes. They kept that all quiet…” Secrecy was the rule for trick men… (Barron and Cotta Vaz 2004, 42). This early history of filmmaking is evidence of the omnipresence of the effect or virtual component of the art and the early secrecy behind it. In fact, at least conceptually, there are not many visual effects today which are very different from the effects of those early years; even with the use of digital technology. Yet, this aspect did not become a strong and relevant component of the definition of a cinematographer’s practice. Concurrently with this effort toward an absolute correspondence with the real, cinema also approaches an absolute correspondence with itself – and this is not contradictory: it is the very definition of the hyperreal (Baudrillard 1995, 49). Baudrillard emphasises the close relationship between form (the style of a film and how it is made) and content (the narrative). Barry Lyndon (1975) achieves a strong realism in cinema as it seeks to simulate the conditions of the period in which it is set; therefore, the content is influencing the form. However, Baudrillard later denigrates modern cinema, suggesting that films are increasingly “stuffed with special effects” (Baudrillard 2005). Gerry Coulter, founder of the International Journal of Baudrillard Studies, suggests Baudrillard laments for the films of his youth, of the 1950s and 1960s, often suggesting cinema is destroying itself through a desire to represent reality, but through visual effects (Coulter 2010). However, Baudrillard and Coulter again make a similar conclusion to Scott McQuire makes in his study of the changing media industry, Crossing The Digital Threshold (McQuire 1997), that digital technologies have changed films. Even in the most recent of examples, such as The Jungle Book (Jon Favreau 2016), it is certain that filmmakers are trying to achieve the same thing they have always been trying to achieve. On a panel at the International Cinematography Conference in 2016, Robert Legato, ASC, the visual effects supervisor for The Jungle Book, explains his early discussions with cinematographer Bill Pope, ASC for this predominantly virtual project with only one actual actor and no physically real locations. When I showed Bill the virtual camera, he said, why do you need me? I told him, film this the same way you’d film it live, with a cinematographer’s eye, time of day, lens choice and so on — all those things mean a lot! (Kaufman 2016, para. 9). The Jungle Book was a steep learning curve for all involved, but this learning only relates to the new technology involved to achieve the story — a story which previously could only be achieved as a Disney animation. The Jungle Book is part of a new trend back toward control and image authorship for the cinematographer that has not occurred since the pre-digital age of cinema. 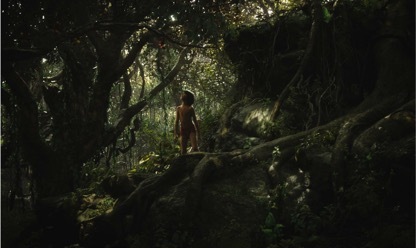 Michael Goldman, in his article for American Cinematographer, asks the question ‘is cinematography the proper term to describe how The Jungle Book’s images were captured?’(Goldman 2016, 33). In the same article virtual camera layout artist John Brennan also discusses contention around the new practice. There’s a lot to learn and reconcile in a hybrid space like the DD [Digital Domain] stage, but there were and are certain mandates — one being that virtual cinematography should be recognizable as cinematography. There are aspects of virtual production that are new and disruptive, but I don’t think that’s the whole picture (Goldman 2016, 35). For all the talk of the revolution that has taken place, few seem to have noticed that it was really a load of nonsense. The cinematographer’s job hasn’t changed a bit, except that our table of responsibilities has grown exponentially (Crudo 2016, 12). Bill Pope, using his custom virtual-camera system, was able to not only direct the framing of characters in shots — either live in a motion-capture volume with actors, or virtually with animated characters — but could also direct how dappled light through trees fell on a character, live-controlling the depth of field, seeing how motion blur might affect an action sequence, and tonally dictating the overall mood of a shot. “With each shot captured in the virtual-camera volume,” Balakrishnan continues, “Bill sat down with one of our Photon artists and hand-lit the shot in the computer with the custom digital light kit we developed for him” (Goldman 2016, 41). In the first decades of cinema, Norman Dawn would add to or obscure the image captured by his camera using the glass plate painting matte technique he brought to filmmaking. 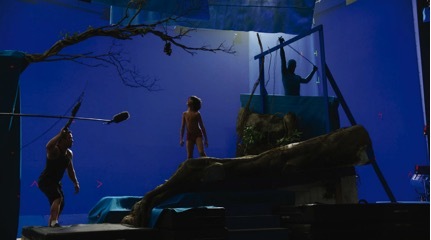 To put it simply, the team that created The Jungle Book has done very much the same thing as Dawn, but instead of taking a photograph and integrating computer-generated imagery (or analogue matte-painting) into that photograph, the team starts with the CGI and the photograph is the smallest component of the final image. The film features a sole live-action actor, 13-year-old Neel Sethi, who portrays the human boy Mowgli. Only those pieces of the sets that Sethi directly interacted with are real; beyond them, all environments, and the entire cast of supporting animal characters, are CG constructs (Goldman 2016, 32). The methodology used to create the images for this film was very similar to a traditional live action approach. After storyboarding and pre-visualisation (both standard steps in filmmaking) the art department created “virtual sets” which would be combined with motion capture performances and then be passed on to the “virtual cinematography” stage. Here cinematographer Bill Pope laid out cameras in a virtual environment, blocking the scenes with the director, lighting with virtual lights and physical fixtures so the relationship between the physical blue-screen set and the virtual set where linked. Pope could choose a virtual dolly or crane shot or even operate a virtual hand-held camera. As discussed by editor Stephen Pizzello, this technology and methodology serves a story created by a team of artists and allows the “distance between artist and audience to be reduced” (Pizzello 2016, 10). While this process of virtual cinematography has been quickly developing for Hollywood feature films over the past decades, it has been slow to be adopted by practitioners in the realm of dramadoc/docudrama film production. The Art Lovers (Beattie, 2016) is utilising an understanding of the potential of the process in order to become an early adopter and possibly one of the first Australian biopics to do so. The single most important outcome to achieve in the production of this biopic project, set in an historical period, is for an audience to suspend any sense of disbelief so as to forget the existence of a camera and production crew; the form should disappear allowing the viewer to focus on the content. The audience must readily accept and embrace the world that the protagonist inhabits as real, believable, and authentic. computer generated model image of this element. produced as an animation first to test and then presented as a plan to the electrics team to build. b. One small section of the tympanum will be produced in styrofoam using a Zebedee Handheld Laser Scanner. anything the actors aren’t touching, will be green-screen material lit for chrominance key removal. Effects which will confirm the live-action capture has worked during the production. a. Compositing of high-resolution model of tympanum, streets, cars, trees and people into scene. instruction from the cinematographer (including all lighting for all elements such as background elements). c. Production of final image from visual effects. a. Final exposure and colour pass on footage following picture lock. may include music composition, audio edit, sound effects and Foley record, titling etc. The scene that is to be used for the “proof of concept” is a pivotal moment at the end of the first act. 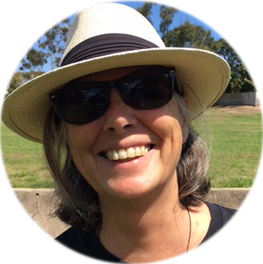 Daphne Mayo, inspired by her recent travels in Florence, has returned to Australia with an idea to link sculpture and architecture following classical and renaissance precedents she has seen in Italy. There are two locations to be intercut. These are the scaffolding in-situ as the tympanum is being carved and the entrance to the City Hall below. Figure 5. A sense of perspective to the significance of the tympanum as the crowning image of the city hall in this black and white gelatin, (John Oxley Library at State Library of Queensland). the most striking challenge to the evidentiary status of documentary has been postulated in the arguments of Baudrillard, who led a wing of postmodern theory suggesting that the dissolution of the representation of the real into simulation constituted a disqualification for competing for truth-claims (Beattie 2003, 50). The challenge of this research is to produce a simulation of a time and a place and to have the audience engage with the film as an authentic representation and to accept its attendant truth-claim. 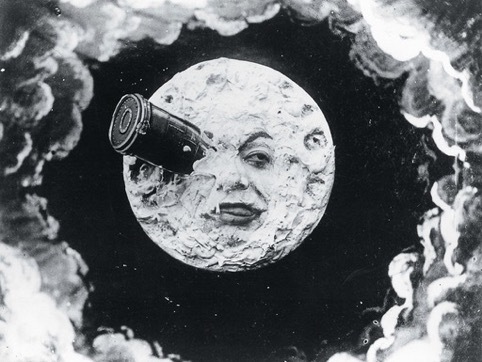 A Trip to the Moon (Méliès, 1902) is a worthwhile and famous example of one of cinemas’ earliest visual/special effects pictures; it’s a story imagined as a fictional journey to the moon based loosely on Jules Verne’s novels From the Earth to the Moon (1865) and Around the Moon (1870). These are imaginations of a journey but one that is still believable within the confines of the world in which this story takes place. We, as audience, always approach a film with a sense of subjectivity in our willingness to believe. This is based on prior knowledge. Brian Winston in Claiming the Real concerned himself with defining what it meant to be authentic within the documentary form and Winston argued that if it had the characteristic of “prior witnessing” then it qualified as a truth-claim (Winston 1995). At the same time in film history that Georges Méliès was exploring the limits of making the imagined real with special effects, Gaston Méliès, his brother, was also using this new and emerging technology of cinema to make the past real in documenting disappearing cultures in the southern hemisphere. Gaston Méliès travelled across the South Pacific to Australia in the early 1900s (Millet 2015). In Papeete, he sought authentic re-enactments of events that had occurred within the living memory. These re-enactments were performed by indigenous inhabitants whose grandmothers and grandfathers had witnessed the arrival of the Bounty. The re-enactments were filmed by Gaston Méliès and used for many films including A Ballad of the South Seas (Méliès 1913). Some twenty years later, in 1933, Charles and Elsa Chauvel also used this approach towards authenticity for their biopic on Captain Bligh and the Mutiny (Byrnes, viewed 2016). The Chauvels also spent time in Papeete working with native Tahitians around the real location (Matavai Bay) to recreate the arrival of The Bounty in Papeete on a much larger scale. This footage was bought later by Hollywood studios for use in travelogues after the Chauvels could not secure distribution for In the Wake of the Bounty (Chauvel 1933) in the American feature film circuit as a biopic. The technical underpinnings of virtual cinematography have been of interest of late to fiction screenwriters but the question has not yet arisen in the field of research for documentary scriptwriting. Here the discourse is around what constitutes ‘authenticity’ and what verisimilitude is in historical documentary. With the rise of the televisual in the era of the telemovie, authenticity became the root of the audience appeal. In his grand history of cinéma vérité, (Wintonick 1999) Peter Wintonick discusses the aspiration for authenticity, and the aesthetic choices founded in the ethics of truth-telling. Truth in documentary is a trope that also has longevity in the debate on what constitutes a claim to be documentary, especially in the rise of the form of the biopic which has ethical and aesthetic choices aplenty. Lev Kuleshov was one of the earliest of editing teachers in early Russian cinema, and is famous for giving his students the exercise of editing together images of a woman, but, unknown to the students, the images were of a number of different women and so the student editors would create a credible image of a woman who didn’t exist (Leyda 1981). With the rise of biopics, Hollywood cinema has invoked this same method of creative fictional amalgams using a method akin to Kuleshov’s students. We know the protagonist for The Art Lovers, Daphne Mayo, wore certain clothes and we have heard audio interviews with her, and so know the sound of her voice. However, no documentary evidence exists of how she worked or how she moved. The virtual cinematographic techniques now available will allow the director to build a believable and authentic world for the protagonist to inhabit with the use of computer-generated imagery. These images are part of the production process from the concept stage. As there is a substantial narrative power unleashed by the embrace of computer-generated imagery in filmmaking, CGI images can become a part of the story development. Until recently their use has been limited by genre. Research and development of their use for the historic bio-pic The Art Lovers, however, is revealing an innovative intervention into a genre not generally associated with computer-generated imagery — the documentary form. In 1996 the noted documentary theorist Michael Renov co-edited a collection of essays on the current state of play in the documentary form with the convergence of the television and the computer screen as delivery platforms. From this collection, Resolutions, Michael Nash’s Vision after Television (Nash 1996) is particularly salient here as it invokes a discussion of the impulse on the part of all of us to “narratize” our experiences as fundamental to our consciousness. Julian Jaynes claims to have first coined the word “narratize” in 1990 here printed in his classic text The Origin of Consciousness where he asserts that “The thief narratizes his act due to poverty, the poet his as due to beauty, and the scientist his as due to truth…” (Jaynes 2000). The docudrama screenwriter in search of authenticity then works to narratize as a scientist might, in seeking the most convincing visible evidence for the version of history being retold. The resolution of the current conjuncture is yet to be seen as the research and development stage of this project moves into production. This second stage is being conducted with an expansion of the narrative made available through an understanding of virtual cinematographic techniques. With access to these digital tools, the production becomes a more level playing field than was previously possible for the producers of low-budget historical docudrama. The authors would like to acknowledge GCCAR (Griffith Centre for Creative Arts Research) for research funding for production and for their ongoing support of this research project. Barron, C. and M. Cotta Vaz (2004). The Invisible Art: Legends of Movie Matte Painting. Chronicle Books. Baudrillard, J. (2005). The Intelligence of Evil or The Lucidity of Pact. Oxford, UK: Berg. Beattie, Debra. (2003). The Wrong Crowd. Saarbrucken, Germany. VDM Verlag Dr. Muller Aktiengesellchaft & Co. KG. ___________. (2016-17). The Art Lovers. Motion picture. in production. Byrnes, Paul. (2016). “In the Wake of the Bounty.” Curator’s notes. Retrieved 02/05/2016 from http://aso.gov.au/titles/features/wake-bounty/clip2/. Chauvel, Charles. (1933). In The Wake of the Bounty. Film. Australia: Universal Pictures. Coulter, Gerry. (2010). “Jean Baudrillard and Cinema: The Problems of Technology, Realism and History.” Film Philosphy 14(2): 6-20. Crudo, Richard. (2016). President’s Desk. American Cinematographer. 97: 1. Bordwell, David K. T. (2003). Film Art: An Introduction. New York, A. Knopf. Favreau, Jon. (2016). The Jungle Book. Motion Picture. US: Walt Disney Studios Motion Pictures. Goldman, M. (2016). Welcome to the Jungle. American Cinematographer 97: 32-45. Gunning, Tom. (1986). “The Cinema of Attractions: Early Film, Its Spectator and the Avant-Garde.” Wide Angle 8(3 & 4). IMAGO: The Federation of European Cinematographers (2003). Making Pictures: A Century of European Cinematography. New York: Harry N. Abrams. Jaynes, Julian. (2000). The Origin of Consciousness in the Breakdown of the Bicameral Mind. Mariner Books. Kaufman, D. (2016) ICS 2016 – Part VII: A Model of Collaboration in The Jungle Book. ASC News. Kubrick, Stanley. (1975). Barry Lyndon. Motion Picture. US: Warner Brothers. Lee-Wright, P. (2010). The Documentary Handbook. New York: Routledge. Leyda, J. (1981). Voices of Film Experience. UK: Macmillan. Lutz, E. G. (1927). The Motion Picture Cameraman. New York, Charles Scribner’s Sons. McClean, S. T. (2004). 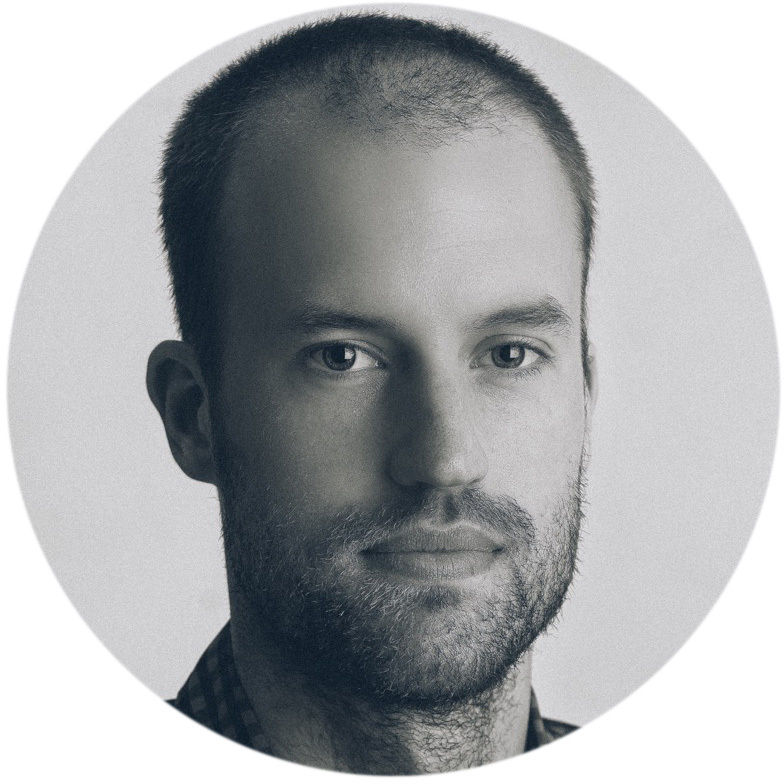 Silicon Spirit: The Impact of Digital Visual Effects on Storycraft in Filmmaking. Humanities and Social Sciences. Sydney, New South Wales, Australia, University of Technology Sydney. Doctor of Philosphy: 251. McClean, S. T. (2010). The Digital Playing Fields: New Rulz for Film, Art and Performance, Currency House Inc.
McQuire, S. (1997). Crossing The Digital Threshold. Centatime, Sydney, Australian Key Centre for Cultural and Media Policy. Melies, Georges. (1902). A Trip to the Moon. Short Film. France: Star Film Company. Millet, Raphaël. (2015). Gaston Méliès and his Wandering Star Film Company. Documentary Film. France. Mitchell, Julian (2016). “Jungle Capture”. Definition Magazine 90: 22-28. Nash, Michael. (1996). “Vision After Television: Technocultural Convergence, Hypermedia and the New Media Arts Field.” In Resolutions: Contemporary Video Practices edited by E. S. Michael Renov. Minneapolis: University of Minnesota Press. Paget, Derek. (1998). No Other Way to Tell It: Dramadoc/Docudrama on Television. Manchester: Manchester University Press. Prince, Stephen. (1996). “True Lies: Perceptual Realism, Digital Images, and Film Theory.” Film Quarterly 49(3): 27-38. Spielberg, Steven. (1993). Jurassic Park. USA: Universal Pictures. Figure 1. Still image (screen capture) from A Trip to the Moon (Georges Méliès, 1902). Figure 2. 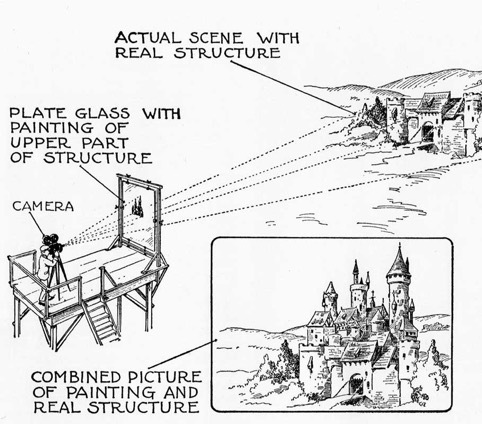 An illustration of the Glass Plate Shot from The Motion Picture Cameraman by E.G. Lutz (1927). Figures 3. and 4. Before and after frame comparisons presented in Mitchell, J. Jungle Capture Definition Magazine (June, 2016) of the production of The Jungle Book (Jon Favreau, 2016). Figure 5. 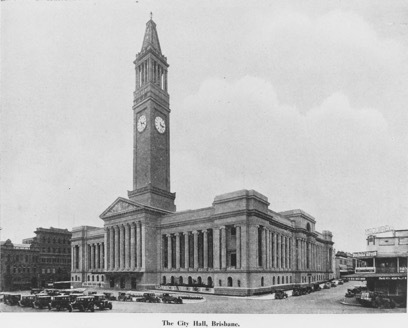 Black and white gelatin photograph [unknown] of Brisbane City Hall from the John Oxley Library at the State Library of Queensland.